It’s been a week that’s seen us inch ever closer to the collapse of NAFTA, seen the White House seemingly confused about how it collectively feels about the death of John McCain, and seen the official death toll of Hurricane Maria in Puerto Rico raised by almost 3,000, even though the President still claims the official response was “fantastic”. (No wonder his disapproval rating has hit an all-new high.) But what else has been going on this week? I’m glad you asked! Let’s let the internet answer that question, shall we? What Happened: Of all the people the President of the United States has pushed out of the White House, perhaps the White House lawyer wasn’t the best choice. 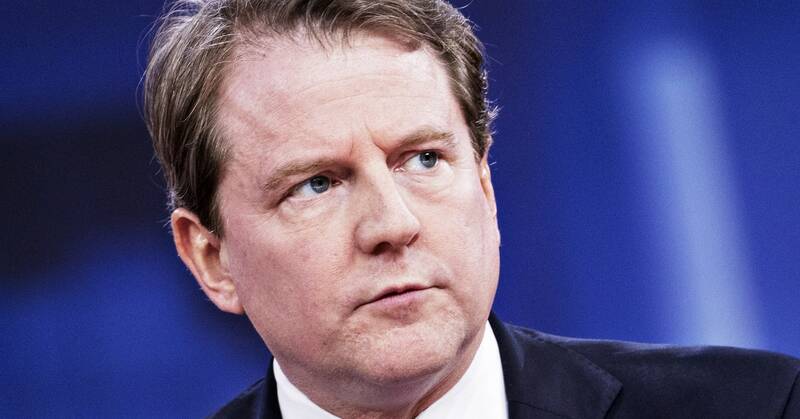 What Really Happened: Elsewhere in the legal worries of the leader of the free world, the reportedly perfectly fine, nothing wrong whatsoever relationship between President Trump and White House lawyer Don McGahn took a bit of a turn early this week, as the President tweeted out a personnel update. That’s 84-year-old Republican senator Chuck Grassley there, showing some hey-fellow-kids Twitter chops. Hey, maybe Rudy Giuliani could moonlight once he’s finished working on that counter-report. What Happened: For those who thought that the current administration couldn’t do anything to get more racist, I introduce to you: Telling U.S. citizens they aren’t really citizens because they’re Hispanic. The Washington Post’s report alleged that American citizens were getting passport applications rejected in Texas, with “hundreds, and possibly thousands” of Hispanic citizens being accused of using fake birth certificates. What Happened: The President and his lawyers have come up with a new plan to combat the special investigation into potential collusion with Russia; release its own fake report. No, really. That is a problem. How can you write a rebuttal to a mystery topic…? If nothing else, he’ll have to work quickly in order to—as the original report put it—release the report within minutes of Mueller’s official, actually researched, report. Let’s be real: There’s almost no way this could fail. The Takeaway: Who couldn’t be convinced by a well-reasoned argument from this guy? What Happened: After less than a year away, Louis C.K. has stepped back into the spotlight to return to comedy—and it turns out people aren’t really into that idea so much. What Really Happened: Hey, remember last November, when comedian Louis C.K. admitted that reports of his sexually harassing several women, including masturbating in front of them, were true? Remember when he issued a statement saying that he was going to “step back and take a long time to listen”? Well, that was certainly nine months’ worth of listening, I guess. Yes, Louis C.K. returned to the public stage this week (although it turns out he’d actually made a more low-key comeback earlier than that), and it was a return that prompted a very strong response online.